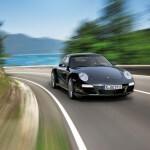 Does Porsche Really Need Another 911 Variant? You bet! 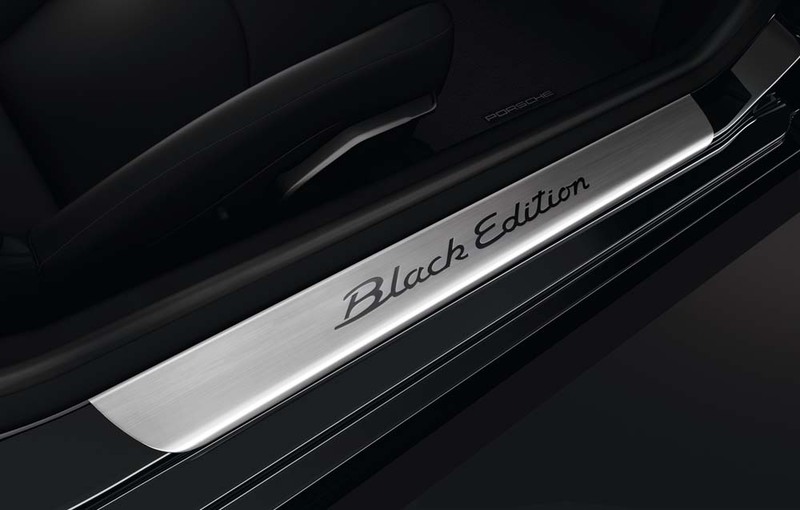 Adding to the already large number of models to choose from, Porsche announced today the availability of a limited edition "Black Edition". If the name doesn't give it away, everything about this car is black. Black paint, black wheels, black interior, calipers (yup, they're black too). Anyway, you get the idea. Dressed in classic, timeless black, the Porsche 911 Black Edition, a rear-wheel drive 911 Carrera Coupe or Cabriolet powered by a 3.6-litre engine, arrives in dealerships this spring packed with features at a surprisingly reasonable price (this, surprisingly is true). 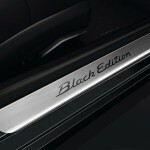 Available only in solid black or basalt black metallic, the Black Edition is limited to 1,911 units worldwide. In the world of financial investments you often hear, "past performance does not guarantee future results." I'm not so sure that's true in the world of each and every limited edition Porsche makes available seems to sell out (think Sports Classic, 911 Speedster, GT2 RS, etc.) and do so quickly. I'm thinking the Black Edition will be no different! 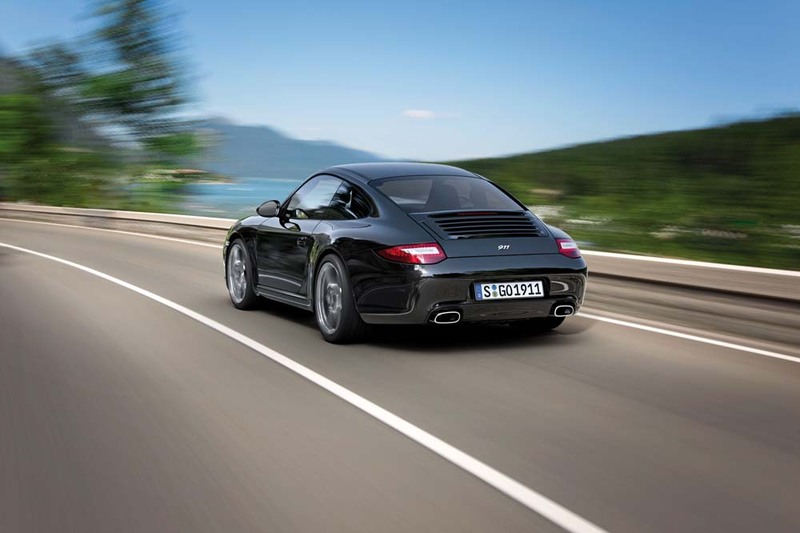 The 911 Black Edition isn’t only distinguished from standard 911 Carrera models by its paint color. 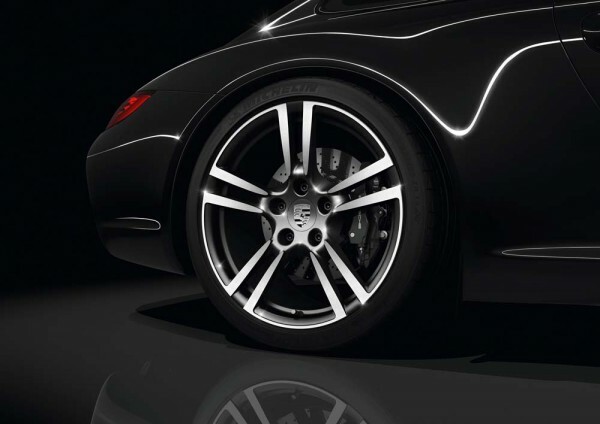 The most prominent exterior highlights are the forged 19-inch 911 Turbo II wheels with a two-tone finish that complements the discreet elegance of the exterior color. They provide an unobstructed view of the brakes, with black, four-piston aluminum monobloc calipers. 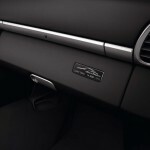 On the engine compartment lid, a chrome “911” badge replaces the standard “Carrera” lettering. Opening the door reveals stainless-steel door entry guards emblazoned with Black Edition type. Naturally, the interior continues the exterior color scheme. 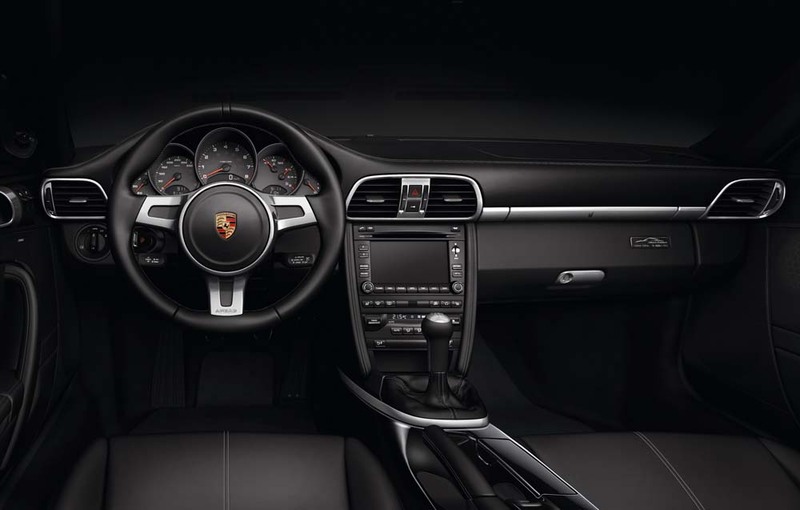 An extended list of standard equipment features a SportDesign steering wheel (including shift paddles for the optional PDK transmission), aluminum-look trim on the dashboard, gear lever and air vents. The rear center console is painted in the exterior color. 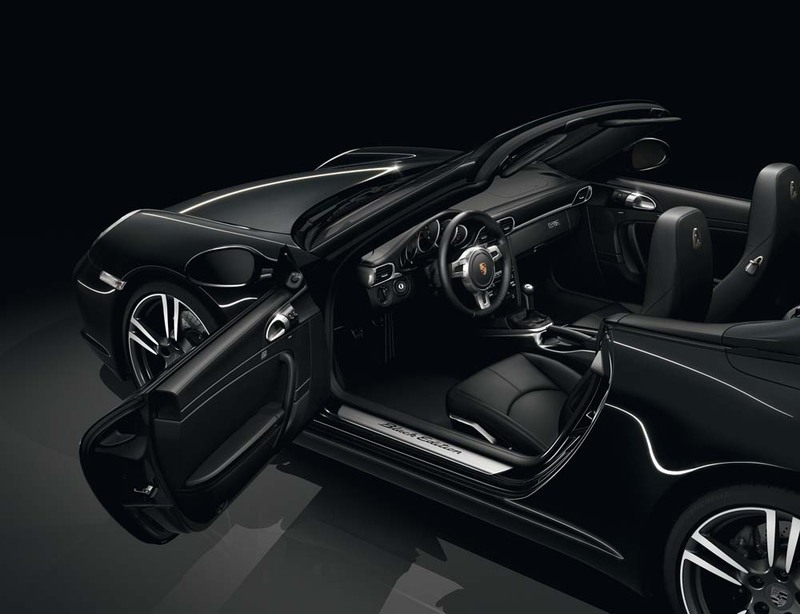 The 911 Black Edition comes fitted as standard with Porsche’s popular Comfort and Infotainment option packages. It thus includes rain-sensing wipers, auto-dimming interior and exterior mirrors, heated, power seats, a 13-speaker, 385-watt BOSE® Surround Sound-System with universal audio interface, 13 loudspeakers (12 in the Cabriolet) and Porsche Communication Management (PCM) with a GPS navigation module. Under the rear lid is the same 3.6-litre flat-six engine fitted to the standard 911 Carrera, producing 345 hp at 6,500 rpm. Coupled with the six-speed gearbox, this output enables the Black Edition to achieve a top track speed of 289 km/h. 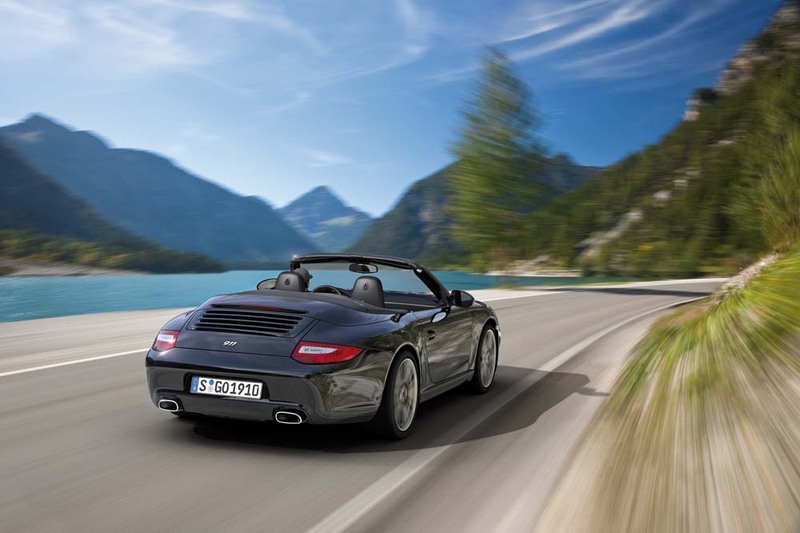 The Coupé reaches 100 km/h from rest in 4.9 seconds, while the Cabriolet takes 5.1 seconds. Despite the impressive performance figures, fuel consumption remains moderate: Transport Canada’s combined fuel consumption ratings are just 9.4 L/100 km for the Coupe and 9.7 L/100 km for the Cabriolet when fitted with the optional PDK double-clutch transmission. The 911 Black Edition enjoys all the same technical special equipment options that are offered for the regular Carrera models. First and foremost, the Porsche-Doppelkupplungsgetriebe (PDK) allows the Black Edition to execute superior acceleration times and instantaneous gear changes while simultaneously reducing fuel consumption. Responsiveness can be further enhanced by the Sport Chrono Plus package, which adds a launch control function and an ultra-fast racetrack gearshift strategy. Both sportiness and comfort can be enhanced yet further if so desired. The Porsche Active Suspension Management (PASM) system allows drivers to switch between two stiffness settings and provides a 10-mm ride-height reduction for a sportier look. Coupe buyers can go even further with a PASM sports chassis, which features a 20-mm ride height reduction and a mechanical rear differential lock. 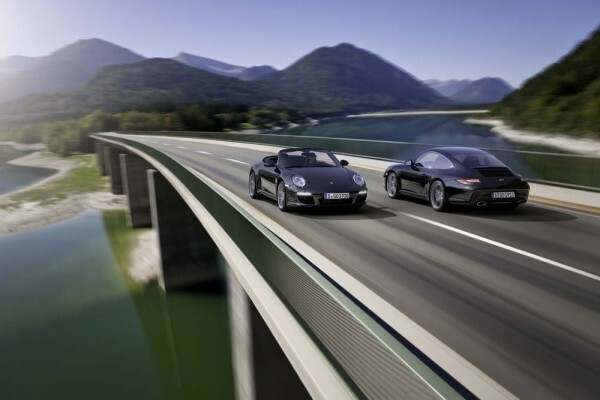 To further optimize braking performance, Porsche Ceramic Composite Brakes (PCCB) are also available. All of the extra features of the 911 Black Edition come at a very reasonable price: In the US pricing starts at $82,250 for the coupe and $92,250 for the cabriolet version. 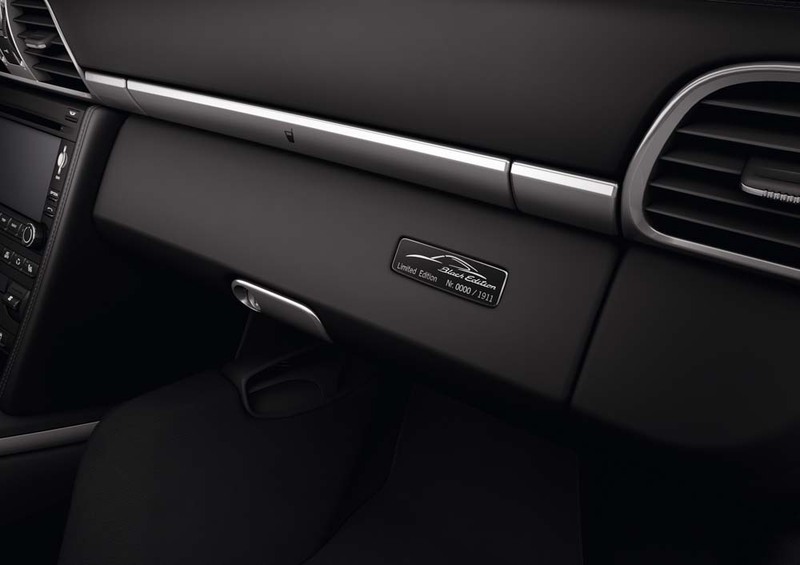 The extras that come standard in the Black edition represent a cost savings of nearly $10,000 over a similarly equipped Carrera. 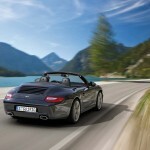 In Canada it's $92,800 for the Coupe and $104,200 for the cabriolet. 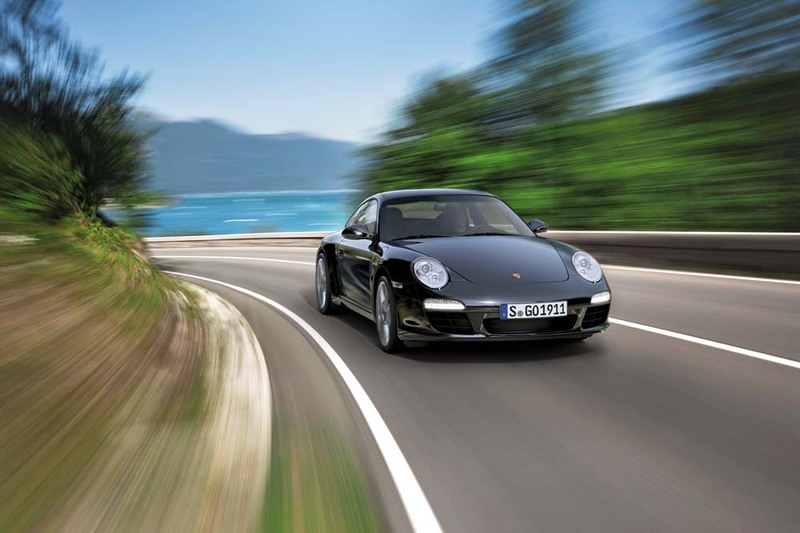 As such, they too represent unprecedented value; to equip a standard 911 Carrera with the equivalent option packages as well as the same exterior and interior enhancements would cost over $7,500 more. I’m trying to imagine the gearhead discussions 40 years from now when somebody discovers a 997 in grandpa’s barn and tries to pontificate on the significance of its VIN.